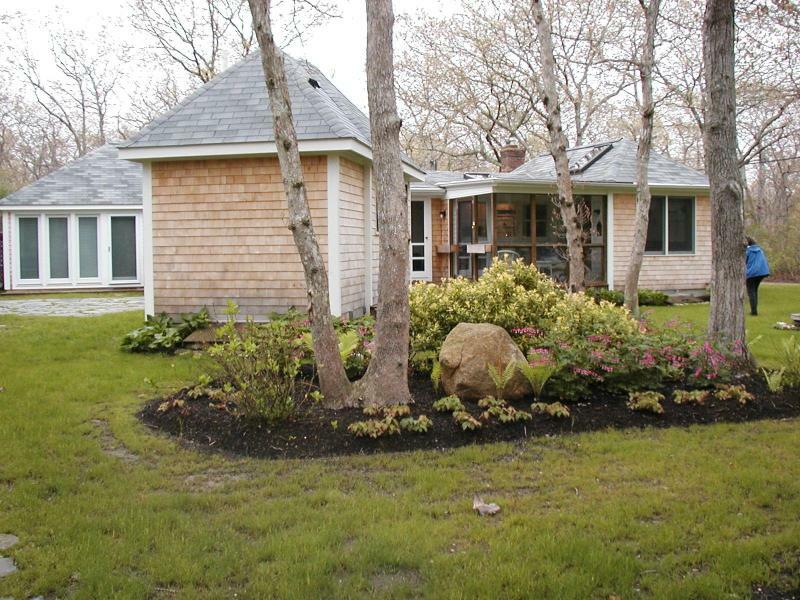 Located in Chilmark only a mile away from Alley's General Store. Bus available. Three miles from Lucy Vincent Beach (sticker required). Charming 3 BR, Bath, three building compound. The main house has a queen bed plus kitchen, bathroom, livingroom/dining room and laundry room. Back building has huge master bedroom with queen bed, pull out queen sofa bed and full bath. 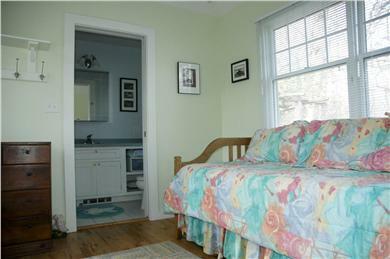 Small building has two trundle beds and full bath. Buildings are all five steps away from each other. Property ideal for two or three couples, and families with grade school children and older. Ideal for families with adolescents!